An overview of the five most important Russian foreign policy decisions of 2015, which will impact on Russia’s policy agenda in 2016. - Fear that Russia’s failure to act quickly could lead to imposition of a no-fly zone over Syria, based on the Libyan example. Some observers believed the decision to send Russian forces into Syria was because of the tragic situation in which the Syrian government army found itself. “If it were not for the Russian military campaign, then the regime of President Bashar Assad in Syria would have fallen before the new year. It is clear that Assad was under great pressure,” Dmitry Evstafiev, analyst and member of PIR Centre Executive Board said. Assad’s defeat in Syria would fill that country with “Islamist chaos”, that would soon move into Afghanistan and Tajikistan, close to the borders of the Russian Federation. Now this developing situation has been reversed. The military initiative has moved in favour of the Syrian regime, with Assad and his allies making significant progress. The Syrian President has now been able to consolidate and gain control over the territories under his control, and the military units located there. Analysts are agreed that the current phase of the military campaign, by the Russian forces in Syria, will continue until January in approximately the same format, with a possibility of a slight increase of the Russian military presence. This may be due to weather conditions; the beginning of the sandstorm season is likely to hamper aviation. This period could be used to activate the political settlement process, said Anatoly Kortunov, head of the Russian International Affairs Council (RIAC). Much will depend on the political positions of regional players; the Gulf States, Iran, and Turkey; and whether they will compromise on the issue of Syria’s political future. Turkey came to the forefront of a resolution to the Syrian issue after it shot down a Russian Su-24 bomber near the Syrian-Turkish border on November 24. After this incident, relations between the two countries have severely deteriorated. The mass media started talking about prospects of an armed conflict between Russia and Turkey, a member of NATO, and, by extension, the bloc as a whole. Moscow chose not to respond militarily and, instead, imposed economic sanctions against Ankara. Russia’s tough reaction stemmed from the fact that Moscow understood Turkey’s action as a planned provocation. The circumstances of this incident even led all Russian analysts to believe that this really was a demonstrative gesture on the part of Turkey; a planned political move. Turkish President Tayyip Erdogan wanted to demonstrate “a kind of an iron fist”in order to strengthen his popularity among the Turkish masses, said Elena Suponina, Orientalist and analyst at the Russian Institute for Strategic Studies. Erdogan’s order to shoot down the Su-24 was designed to make clear Ankara’s dissatisfaction with the actions Moscow was taking in neighbouring Syria, believes the RIAC’s Kortunov. He notes that Turkey has been talking for a while about the creation of a no-fly zone over a territory inhabited by Turkish-speaking Syrians – the Turkomans. This is a strip of land adjacent to the Turkish-Syrian border. Erdogan is trying to position himself as the protector of Turkomans. By shooting down the Russian plane, the Turkish leadership made it clear that these people, regardless of whether they are supporters of the Assad regime or its radical opponents, fall under the protection of Turkey, said Kortunov. Analysts believe that Turkey could not have imagined such a sharp reaction from Russia. The Turks “did not expect that Russia would respond with stopping cooperation over such a wide spectrum of economic spheres,” said Suponina. The incident destroyed in an instant decades of hard work on building relations between Moscow and Ankara, and restoring these “will not take weeks or months, but many years,” said Suponina. For both Moscow and Ankara it will now be difficult to retreat, said Kortunov. “Maybe the relations will become more relaxed, but they will never be restored to same format as they were before this incident,” the analyst said. In addition to the Russian-Turkish relations, another victim of this conflict between Ankara and Moscow, according to the analysts, is the effort taken to create a real international coalition against the Islamic State. However, they stress, creation of such a coalition was difficult either way, given the various views among the major players in West Asia. Against the backdrop of the Syrian crisis, the problems in the Donbass have receded into the background. However, the Ukrainian crisis remained the main item on Russia’s foreign policy agenda for most of 2015. The situation in the Donbass will not lose its relevance in 2016, despite the current lull. The settlement of the crisis in the Donbass was pursued under the “need to observe the Minsk-2 Agreements.” After hours of marathon negotiations, leaders of Russia, Germany, France, and Ukraine agreed in Minsk on February 12, 2015 on some basic steps that would lead to a ceasefire and start the peace process in the south-east of Ukraine. In spite of the Minsk-2 Agreements, fighting, shooting, though with lower intensity, continued until the end of this summer. Genuine calm in the Donbass occurred only in September. According to analysts, the cease-fire came about after the USA finally agreed to support the Minsk Process, and the subsequent pressure put on Kiev by the West. “Russia was able to convince the Western powers that Moscow’s position was aimed at minimizing the conflict, while Ukraine’s position was seeking to maximize the headache for USA and the EU,” Iosif Diskin, analyst and member of the Russian Public Chamber said. He recalled the visit of the Deputy Secretary of the US State Department Victoria Nuland to Kiev in July, when she attended a meeting of the Verkhovna Rada. Kiev and Donbass continue to accuse each other of violating the Minsk Agreements. The shelling has resumed. This time, however, it is mainly coming from small arms. A major test to determine compliance of the parties to comply with the Minsk Agreements will be the forthcoming local elections in the Donbass in February 2016. Local elections were held in the rest of Ukraine in October, but Donbass authorities decided to postpone them, in order to give the parties, primarily Kiev, time to implement the measures stipulated in the Minsk-2 Agreements; particularly granting greater autonomy to the south-eastern Ukraine. There have been no reports about progress in this direction by Ukraine’s Verkhovna Rada (Parliament). This makes the prospect of the lifting of sanctions against Russia foggy, since implementation of the Minsk Agreements are the main condition to remove sanctions. The agreement on the Iranian nuclear program, reached in mid-July, was not unexpected. Many fundamental agreements between the “Six” negotiators (five permanent UN Security Council members plus Germany) and Iran were hammered out in April. In July, all negotiators reached a final and mutually acceptable compromise. The agreement between the “Six” and Iran involves the gradual removal of the sanctions imposed against Iran in exchange for imposition of severe restrictions on the development of Iran’s nuclear programme, which the West believed was aimed at the acquisition of nuclear weapons. The role that Russia played in reaching this agreement surprised leaders in Western capitals. “They were surprised how Putin and the Russian government were able to split the two main issues; Iran and Ukraine. We would have never reached this agreement, if not for Russia’s readiness to work together with us and other members of the “Six” in order to achieve a good settlement,” said US President Barack Obama. Some observers wondered why Russia was supporting this deal; because after lifting sanctions on Iran, crude oil from that country would enter the world market, inevitably leading to lower prices for this commodity which is an important Russian export. According to Moscow, the benefits of this agreement for Russia outweigh the possible disadvantages. Russian needs Iran as a serious partner, said Evstafiev at the PIR Centre. According to Pyotr Topychkanov, member of the Non-proliferation Issues Programme at the Carnegie Moscow Centre, the lifting of sanctions on Teheran will be of great benefit to Russia, primarily in the sphere of military-technical cooperation (MTC), and in the sphere of peaceful use of nuclear technology. As analysts have noted, just the potential defence contracts are estimated at being worth between $20 and $70 billion. Analysts stress that Iran is fundamentally important for Russia, in terms of forming multi-vector foreign and international economic policies. Tehran and Moscow are also tied via their active involvement in the Syrian crisis and support for President Assad. The removal of sanctions will add legitimacy to Iran in the region and in the international arena as well, said Kortunov. The BRICS and SCO Summits were held in July 2015 at Ufa, Russia. At the summit of BRICS (Brazil, Russia, India, China and South Africa), steps were taken to transform the association into a full-fledged organization. A major outcome from the summit was the launch of financial mechanisms like the New Development Bank (NDB) and the pool of contingent reserves. For Moscow, this is of particular importance, given the fact that western sanctions have largely cut Russia off from global capital markets. The NDB, with a capital of $100 billion, will start financing projects from 2016. This year’s Shanghai Cooperation Organisation (SCO) Summit (comprising Russia, China, Kazakhstan, Tajikistan, Kyrgyzstan and Uzbekistan) brought in a qualitative change in the association, said Topychkanov, approving the memberships of India and Pakistan to the SCO. According to Alexander Lukin at the Centre for East Asian and SCO Studies of MGIMO, this makes the SCO an even more powerful global player, turning it into a “second, non-Western, Eurasian pole”. 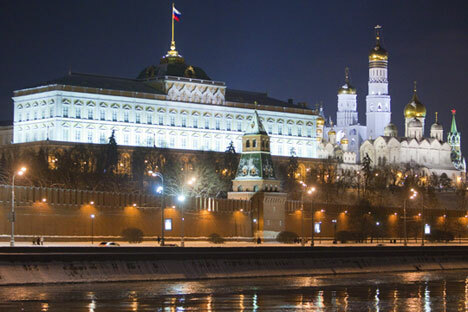 Moscow has obtained a new serious lever for the realization of its foreign policy interests.